Pulitura al microscopio Croce, Romania, 1863, Collezione Belvedere S.p.A.
Pulitura con solventi – Cristo Pantocrator con gli Apostoli, Romania, 1799, Collezione Belvedere S.p.A.
Intervento di reintegrazione pittorica - Sinassi degli Arcangeli, Balcani, 1709, Collezione Belvedere S.p.A. 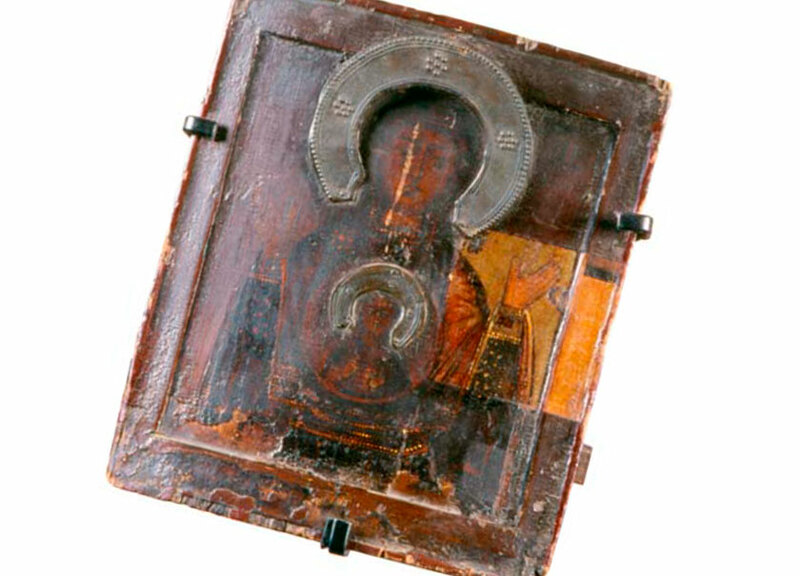 In 2002, in collaboration with the Russian State Museum of St. Petersburg, the International School and Restoration Lab of Russian Icons was officially inaugurated. 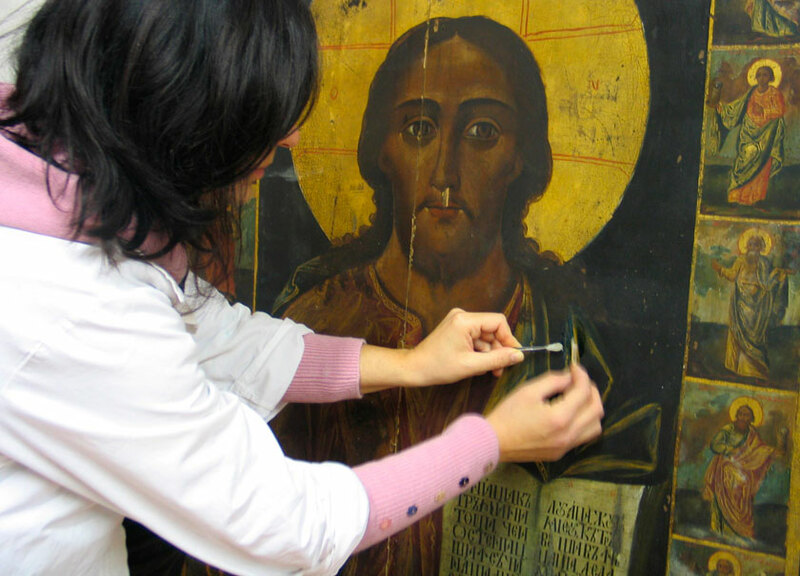 The Lab, applying restoration techniques borrowed directly from the Restoration Lab of the Russian State Museum and using natural and reversible materials, intervenes both on the collections of the Museum of Icons of Peccioli as well as on commission of antique dealers and private customers. 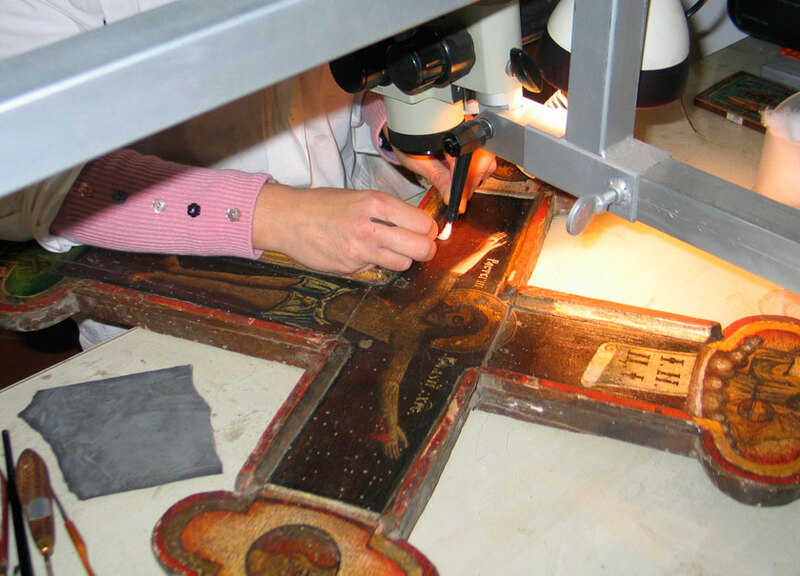 In addition to the restoration, the Lab is specialized in authentication’s certificates: recognition of the authenticity of an icon, dating of it, identification of the area of origin, description of the subject and of the style of the work. The International School selects its favourite supporters among those who, either enthusiasts or scholars, want to enter the fantastic world of the icon, or among the workers in the sector (antique dealers, restorers, gallery owners, artists). 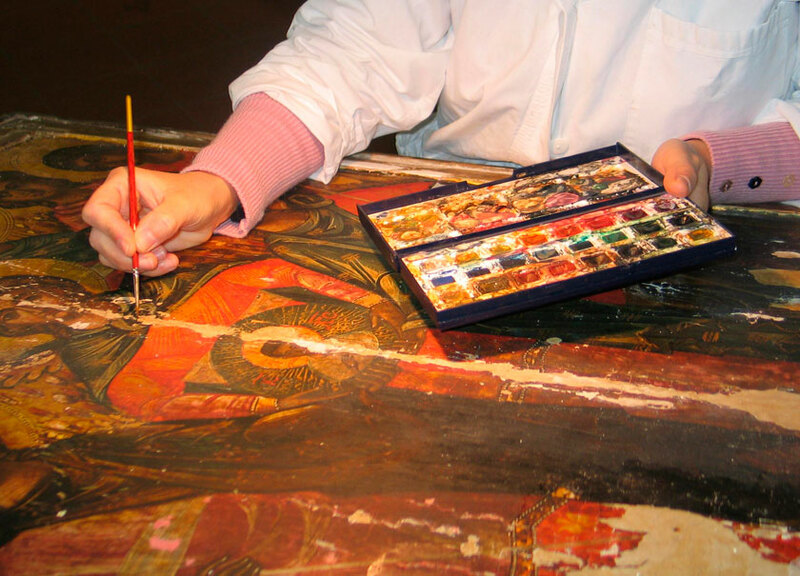 Indeed, it organizes theoretical-practical courses of restoration and icon painting, as well as courses on specific topics (techniques for gilding, engraving the gold background, painting miniatures).